At Lawrence Walsh we also specialise in living room furniture, ranging in style from very modern to traditional. We take pride in creating practical living spaces. Offering our customers the latest colours and finishes, we always come up with a unique solution. Our living room furniture comes in many different depths and heights and will fit into your space seamlessly. Our designers can advise on the best use of space and guide you through the process of finding the perfect furniture for your home. At Lawrence Walsh we take great care in choosing the highest quality finishes, handles and details for our furniture to ensure we supply our customers with products that last. We realise that each area of space in your home is potential for storage. Therefore we specialise in designing for both easy open spaces and awkward spaces – often cutting around walls, chimney breasts and sloping ceilings. The modern media units will fit effortlessly into any living space. With clean lines and a minimalist aesthetic, you are bound to find something that suits your room. 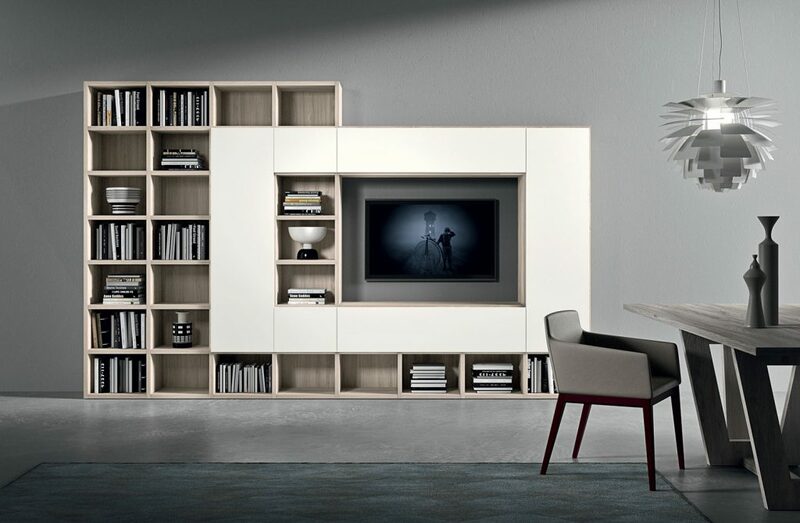 A wide range of solutions are available from simple modern bookcases to full home entertainment systems. Providing storage options with a new twist, these media units are modular solutions with strong character that add a decorative touch to any room. 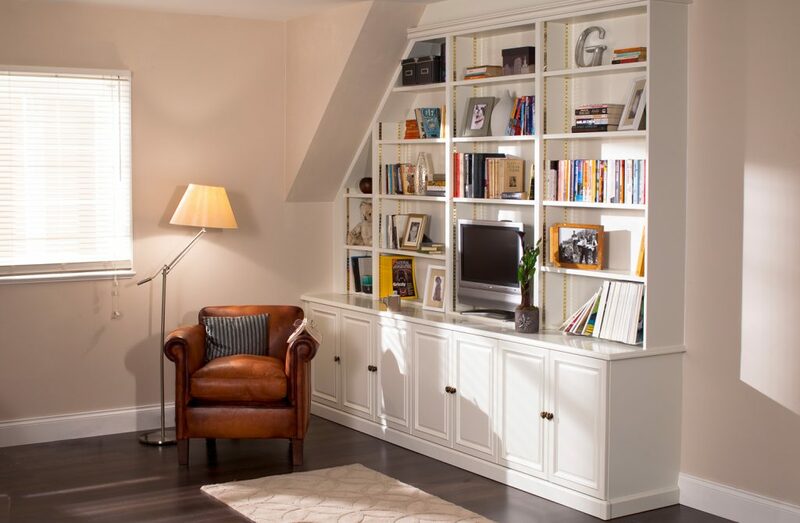 The library units range from traditional to modern and concentrate on practical storage. Moulded doors, cornice and traditional handles can be used to ensure you get the classic look you are after. Alternatively our plain or shaker style doors may better suit your space. Opt for a contemporary colour in these ranges to give your storage a modern finish. Please do not hesitate to contact us and we can talk you through our free design service!